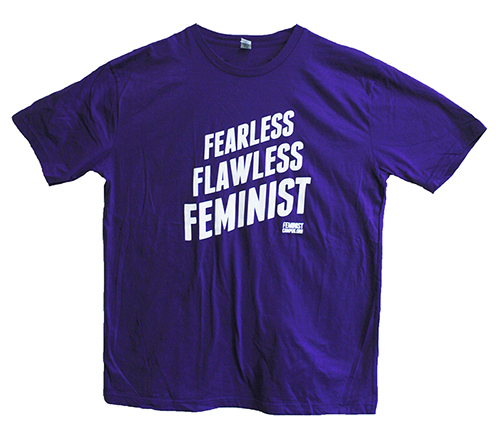 You know that you're fearless, flawless and feminist. Now, let everyone else know it too with this classic unisex t-shirt. Comes in white lettering on a purple tee. Made in the USA, Sweat-shop Free, 100% Cotton, expect some shrinkage.